Register for the Animal Flow® Level 1 Workshop (Instructor Certification) in Sydney on July 21-22! 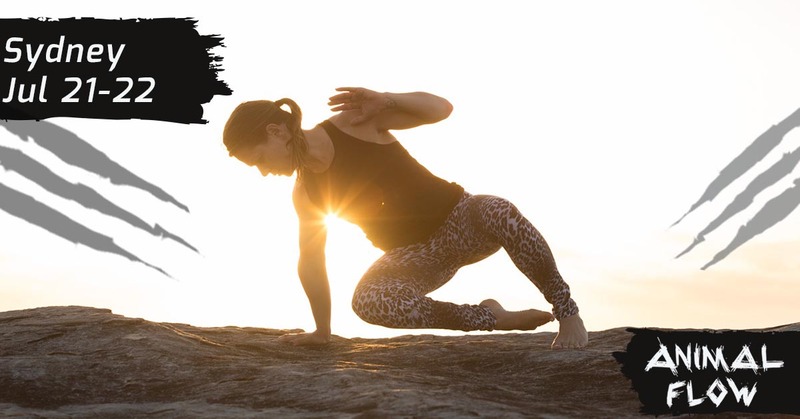 This course is where you can learn the popular and incredibly effective new workout practice, taking the steps to becoming a Certified Instructor. The two-day event is six hours each day: 11:30am – 5:30pm on Saturday and Sunday. The event will be hosted at The Fitness Playground.